"At the beautiful Horseshoe Southern Indiana Hotel and Casino"
click here to download the Registration Form, fill it out and mail it with payment! Register before July 1st, 2019 to take advantage of the Early Registration Discount! One (1) Day Registraion is now available for $175.00! "ADA Lawsuits Drive Concern Over Veterinary Website Accessibility"
Description: Running a successful veterinary practice involves more than just delivering medical services. It takes a keen business sense – relying on strategic planning, leadership, culture, accountability, and communication. Inefficient processes will not fix themselves. Pay attention to these five tips and inspire your team. Description: If we were all honest, we would all say that we really do not like conducting the annual performance review and would prefer to drop the entire process. However, how can a business get the right people on the bus, in the right seats, performing the right jobs…without some form of performance evaluation? It turns out, many companies are dropping the annual review for a better, more flexible model. Develop your new model to save you time and build a better team. Description: Every practice has some favorite metrics they routinely watch and use to evaluate how well the practice is doing. However, are these all the metrics you need? Are you struggling to make improvements in your practice and aren’t sure how to identify what is going well and what needs to change? And then how to measure success? Changes in the profession lead to changes in the measurement of operations. This session will discuss both old and new metrics that are most useful in practices today. Description: It is common to hear “KPIs” in many discussions about business actions and profitability. It is also common to hear many managers complain that they spew out a bunch of numbers that seem to mean nothing when it comes to managing the practice. Is it paralysis due to an over-kill of numbers, or, is it a poor choice of numbers and the lack of clarity about which numbers determine what action is needed? If you want to lead your practice to profitability, you need to have a clear structure of KPIs you want to follow. Description: Drama is great when it is part of a TV show or stage production; it is not so great when it is part of your daily work environment. It takes a conscious effort to address the root causes of team drama and effectively create a drama free culture. Develop the skills necessary to nip drama in the bud and enable the team to flourish in a drama free environment. Description: Many of the businesses in those docu-reality series deal with a business suffering from poorly orchestrated operations and misdirected strategic plans, but to a larger degree, it showed poor team efficiency and lack of accountability. This session will present common issues with team accountability and will offer options to rescue the hospital and improve team performance. This session will cover how to effectively utilize information from other hospital rescues to assess your own hospital; develop an action plan to boost team efficiency; and gain a deeper understanding of accountability snafus and how to mitigate the risk. Description: They sneak up on us throughout the day, the text message or email that consumes a few minutes here and there, the office gossip whispered a few times here and there, by the end of the day, a few minutes add up to a few hours. Being aware of productivity killers is the first step, and tackling their voracious appetite of our precious minutes is the next step. Improve your team’s ability to handle the most common time killers and enjoy better productivity. 10:15-11:30am : Heartworms in Cats: Really? Really! Growing up, Dr. Dohmen always wanted to be a veterinarian. She grew up in a time where allopathic medicine was considered the zenith of all medicine. All her schooling was in allopathic medicine, but she started feeling that there was something more. In her personal life, she had been a vegetarian for years; she wanted to help animals, not eat them. She began to use organic food and alternative medicine modalities for herself and her family. Her family thrived on this more wholistic lifestyle, and she realized that if these things were better for her family, they would be better for her patients also. At the same time, more and more research became available which indicated that allopathic medicine was not the be-all-end-all that western doctors had always believed. There was even research that vaccines and medicines that have been used and prescribed for years can actually do more harm than good. Becoming disillusioned with some areas of western medicine, Dr. Dohmen began studying alternative modalities. Dr. Dohmen has received training in Acupuncture, Food Therapy, Bach Flower Essences, and most extensively Western Herbs. She has studied with Dr. Steve Marsden, Dr.Huisheng Xie, Registered Herbalist Rosemary Gladstar, and many others. She received her Masters of Therapeutic Herbalism from Maryland University of Integrative Health in 2014. She recently down-sized her integrative mixed animal practice in southern Delaware. She now lectures regularly on Western Herbal Veterinary Medicine, and other wholistic topics. She is published frequently in journals such as JAHVMA and IVC (Integrative Veterinary Care Journal). She is writing a hands-on course in Western Veterinary Herbal Medicine with Dr. Kris August slated to be offered autumn, 2017. 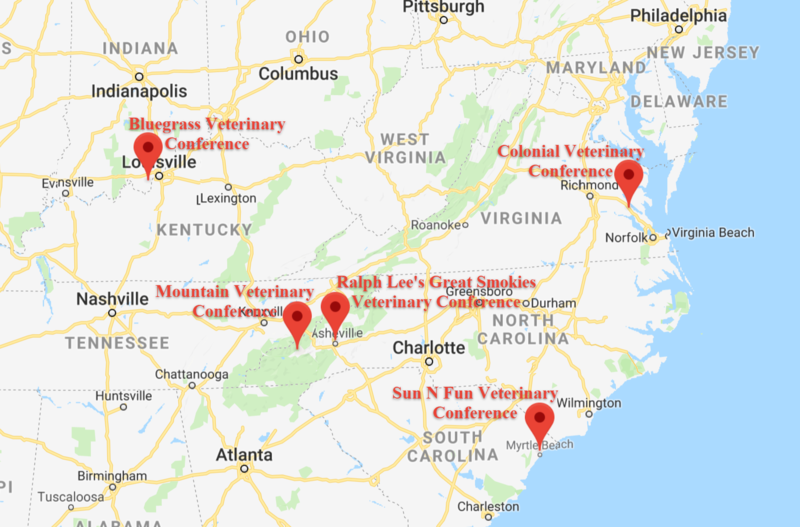 Dr. Dohmen is the Past President of the Veterinary Botanical Medical Association; as well as a member of American Herbalists Guild, International Veterinary Acupuncture Society, American Academy of Veterinary Acupuncture, American Holistic VMA and AVMA. She is on the Editorial Board of the AHVMA Journal. Dr. Dohmen lives on a 72 acre farm with her husband, 2 sons, and many four-legged animals. She has her own organic herb and vegetable gardens. Stephen originally started college to become a registered human nurse but did not enjoy working with humans as patients. Instead Stephen became an RVT and then obtained certification as a Surgical Research Anesthetist through the Academy of Surgical Research followed by the designation of a Registered Laboratory Animal Technician through the American Association of Laboratory Animal Science soon after. Most recently he became on of the first Veterinary Cannabis Counselor Specialists in the country while continuing to educate veterinary professionals on safe and effective use of cannabis in the clinical setting. Stephen is the Executive Director for the Academy of Laboratory Animal Veterinary Technicians and Nurses, holding a VTS credential in Research Anesthesia. His regular daytime position is at Silicon Valley Veterinary Specialists, as well as a private contractor for several research organizations and two local Zoo's. Dr. Gary D. Norsworthy has been in private practice for 47 years, including 22 in feline-only practice. He is the owner of Alamo Feline Health Center in San Antonio, Texas, where he practices full-time. In addition to practice, he lectures frequently on feline diseases and is the editor and major author of seven feline textbooks. He is a charter Diplomate of the American Board of Veterinary Practitioners in the Feline Practice Category and an Adjunct Professor at veterinary colleges. Our deluxe hotel rooms at Horseshoe Southern Indiana are the perfect well-deserved indulgence for the most discriminating guests. All of our traditional, resort-style amenities are included, and of course the exceptional, attentive service for which Horseshoe has always been known. Room rates start at $115 + tax (standard room) and rate guaranteed until July 1, 2019. Room reservation can be made by calling Horseshoe at 866-766-2671 and refer to group code S07VET9 or book online using the weblink created for this conference https://www.totalrewards.com/reserve/?propCode=UEL&action=FindRooms&groupcode=S07VET9. This beautiful racetrack has been the home of the Kentucky Derby since 1875. The Kentucky Derby Museum, where every day is Derby day, is the official tour provider of historic Churchill Downs. When you visit the Museum, you will find yourself immersed in the next best thing to actually being at the Derby! As the exclusive tour provider for the track, various tours are offered throughout the year even when the track isn’t in session with live racing. General admission includes two levels of family-friendly interactive permanent & temporary exhibits, "The Greatest Race," a 360-degree immersive sound and visual experience that'll get your heart racing and emotions soaring, Historic Walking Tour of Churchill Downs Racetrack, access to the Gift Shop, Kentucky fare in the Derby Cafe Express and much more!